The present tsunami of technological change is causing disruption across everything from business, transportation, finance, government, entertainment, and relationships, just to name a few. This disruption has only just begun to exert influence on the learning process and formal education. In much the same way that these industries are experiencing disruption from the digital revolution, andragogy may also be on the verge of what could be called a learning-tech culture revolution. This chapter describes three emerging technology categories that could help to produce such innovations include (1) the internet of things (IoT), (2) blockchain, and (3) artificial intelligence (AI). While there is a bevy of writing and expert commentary presently emerging about these technologies, there is very little supposition so far about their potential impact on learning culture and adult education. 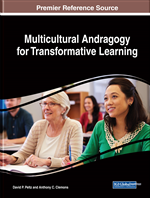 The following pages will include a brief explanation of each of these technologies with discussion about the ways they could be leveraged to make a momentous impact on andragogy as we know it.